Safe365 Digital Camera Photo Recovery Wizard can help you restore a large number of images or videos from the camera/camcorder, if they are accidentally lost. 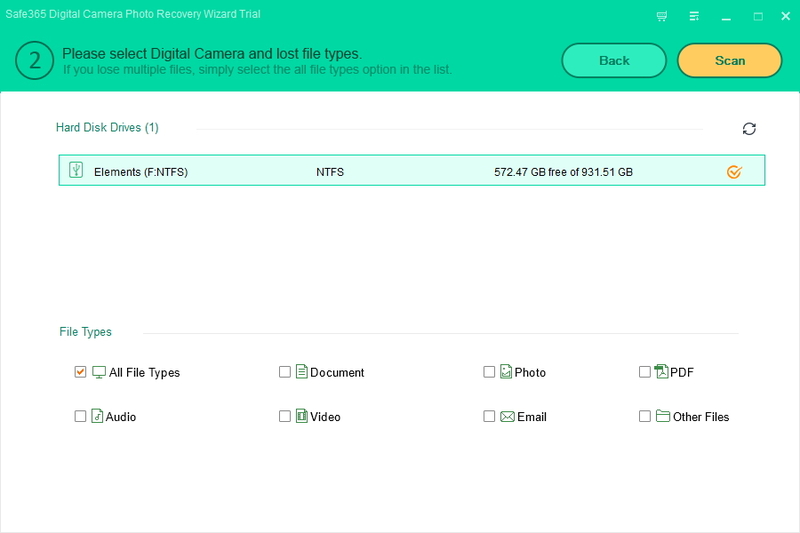 Whether you deleted them or unwillingly formatted the memory card and lost the data on it, this powerful tool can help you recover it. 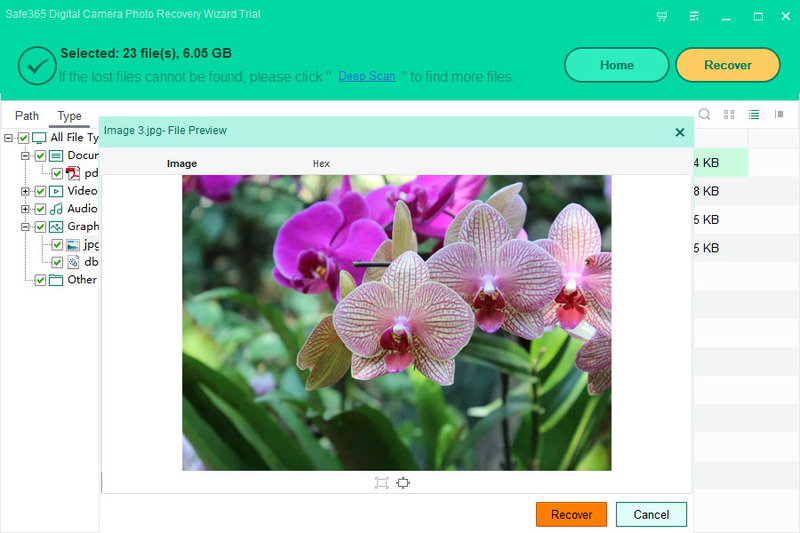 Safe365 Digital Camera Photo Recovery Wizard supports recovering images, videos and audio files from your digital camera or camcorder. It can handle various camera types, from a multitude of manufacturers, as well as many file systems (on USB drives). Moreover, it can recover both common picture types, as well as raw image formats, including RNW and NEF. Other supported formats include JPG/JPEG, TIFF/TIF, PNG, BMP, GIF, PSD, CRW, CR2, NEF, ORF, SR2, MRW, DCR , WMF, RAW, SWF, SVG , RAF, DNG, ARW, RW2, DCR, KDC, ERF, 3FR, MEF, PEF, SRW, X3F etc. Step 1. Connect your camera/camcorder to computer with a USB cable. Or pull out the memory stick, then connect it to computer using a card reader. Step 2. 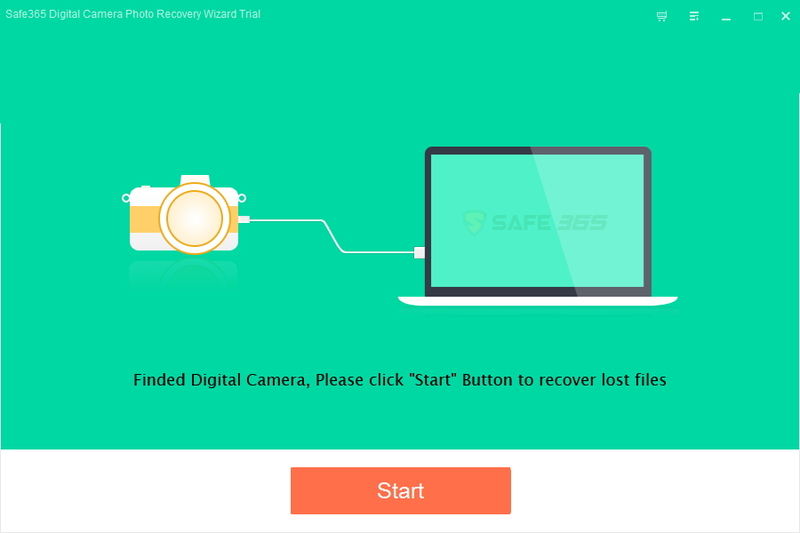 Install and launch Safe365 Digital Camera Photo Recovery Wizard on your computer. Click "Start" button, your camera/camcorder or memory stick will appear as a drive letter on the program, select it and click "Scan" to begin searching lost files from your device. Step 3. After scan, all recoverable files, including photos and videos, will be displayed and listed in categories. 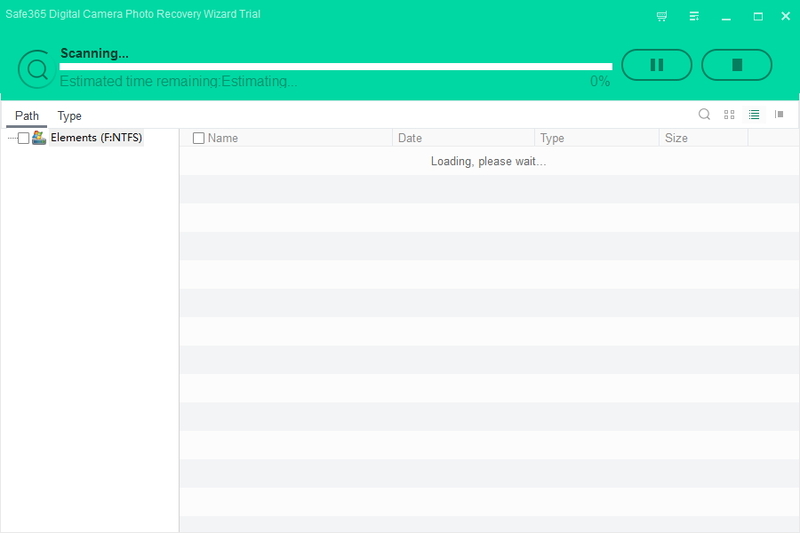 You can preview and hit "Recover" image button to retrieve lost files with one click.